Impressively thin, smooth, creamy, flavorful— everything you could want in a chocolate milk. May be too sweet for some, but the flavor is densely packed and goes down very quickly— the cup is gone before you know it! 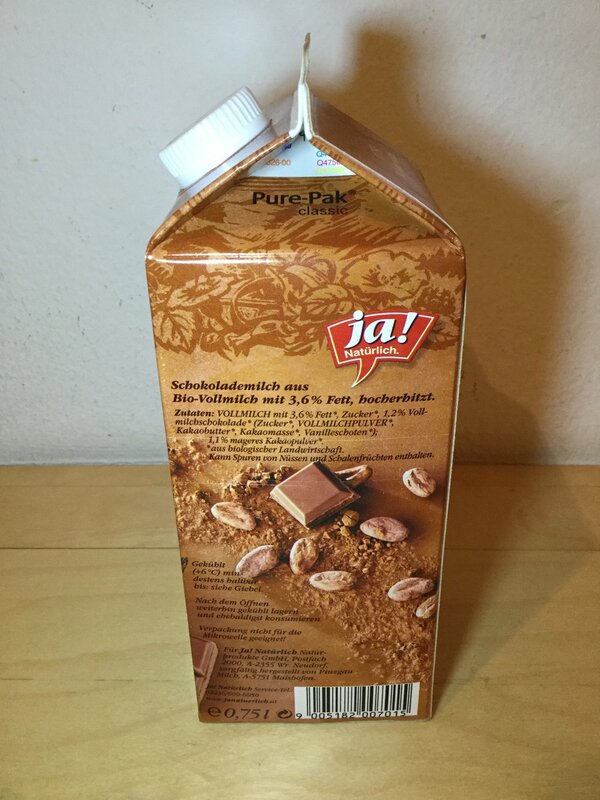 Whole milk (3.6% milk fat), sugar, whole milk chocolate (1.2%) [sugar, whole milk powder, cocoa butter, cocoa mass, vanilla pods], defatted cocoa powder (1.1%).